Your dental cleaning is an important part of protecting your teeth and gums. It also has the benefit of making your teeth smoother, whiter, and cleaner. Dental Restorative Group provides Belmont, Cambridge, and Greater Boston patients with dental cleanings and other preventative care. Our family-friendly practice welcomes children, parents, professionals, and seniors, and we use gentle and effective techniques to make the experience as comfortable and positive as possible. Dental cleanings remove the buildup of food particles and bacteria from your teeth and gums. The treatments can prevent more serious problems, such as cavities, gum disease, and tooth and bone loss. Food particles collect on the teeth and interact with the bacteria that naturally occur in the mouth. 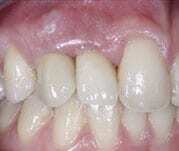 This creates plaque, a layer of film that most patients can remove with proper brushing and flossing. Dental Restorative Group encourages patients in Belmont, Cambridge, and Greater Boston to have a dental cleaning about twice a year. Some patients may need to visit more frequently if they are prone to oral health problems. When tartar goes untreated, the body’s immune system reacts to the bacteria around the teeth and gums. This process can also cause the teeth to decay and harm the bone that holds them in place. 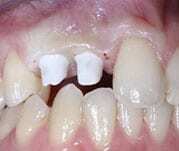 Tooth loss is not uncommon, as is a general infection that can affect other parts of the body. Proper oral health, including dental cleanings, help to prevent these concerns. Your dental cleaning can take place at our offices in Belmont, Cambridge, or Arlington. Our priority is providing you with comfortable, effective treatment. Most of our patients find the process painless, and they often refer friends and family to our practice because of our gentle approach, the quality of our results, and the experience and professionalism of our dental hygienists and doctors. Appointments at Dental Restorative Group generally take from one-half hour to an hour. There are several stages to a dental cleaning, each of which we may alter depending on your needs. Our dentist and hygienists work together during this appointment to identify and remove plaque and tartar. Your hygienist will begin by using a small mirror to evaluate your teeth and gums. The hygienist will see if there are areas of tartar buildup and note any signs of cavities, damage, or disease that call for the dentist’s immediate attention. Your hygienist will gently use a scaler to scrape away plaque and tartar from the teeth and gums. Our professionals work thoroughly and check carefully to ensure that all of the film and calculus is gone. Next, the hygienist will brush your teeth with an electric rotating brush, which cleans much deeper than a standard brush you might use at home. Dental Restorative Group offers a variety of toothpaste flavors from which you can choose. You will have your teeth flossed to get rid of any buildup revealed by brushing. Our hygienists may demonstrate proper flossing technique, as improper technique is a common cause of gum damage. Your dentist will review the dental cleaning at the end of your appointment and answer any questions you have about your care. We typically encourage patients to schedule their next dental cleaning at the end of the visit. This helps ensure that they are receiving treatment regularly and that they can have an appointment on the day and in the office of their preference. Exploring general dentists in Belmont, Cambridge, and Arlington? Schedule a dental cleaning with Dental Restorative Group by phone or online.